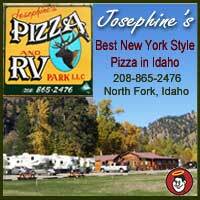 Listings in the Salmon Idaho Business Directory include Salmon, and surrounding communities in Lemhi County such as North Fork, Elk Bend and more. These businesses bring quality goods and services to our area’s small town charm! Book A Rafting Trip Experience white water rafting and smooth scenic float trips with our fun and professional river guides on the world famous Salmon River. Planning an adventure ahead or last minute bookings, we are ready and can accommodate you! Based in Salmon Idaho, Rawhide Outfitters, family owned and operated, has been providing top notch quality rafting adventures since 1989. Our number one goal is to offer our guests the most memorable, personal and exciting experience possible in this beautiful Salmon River Valley! ½ day smooth scenic float trips can begin right here in Salmon and offer a relaxing float with wonderful scenery and wild life to view. With our 1 day white water rafting adventures we raft a 13 mile section that includes a gold mine tour, your picture taken going through famous Pine Creek Rapids, historic and scenic points of interest and a BBQ lunch served up fresh and plentiful along the river¿s edge. 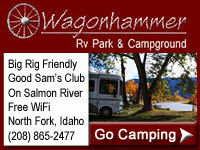 Transportation is provided right from your motel room in our 15 passenger vans. Want more time on the river? 2 and 3 day over-night white water trips are also available. For detailed information access our website! We look forward to your call! Book a Trail Ride Saddle up on gentle mountain horses for authentic "Western" trail rides and pack trips riding through the beautiful, wild and scenic Idaho country. There are several different trails to choose from including portions of the Lewis & Clark Expedition Trail. One-half to one day trips are available as well as longer adventures of 2 or 3 day pack trips. Trips can be customized to fit the desires and ambitions of our guests! We personally guide all of the trail riding adventures sharing our knowledge of the area while you enjoy the majestic mountain scenery. Join us for guided hunting trips with our family owned and operated business which shares a love for nature and a passion for hunting! Since 1989 Rawhide Outfitters has specialized in big game hunting trips with LOW CLIENT NUMBERS, a HIGH QUALITY EXPERIENCE and EXCEPTIONAL SUCCESS RATES! Quality silk floral arrangements, live plants and home decor items. The personal touch you'll appreciate!